Holy Crap, that thing gives me vertigo. 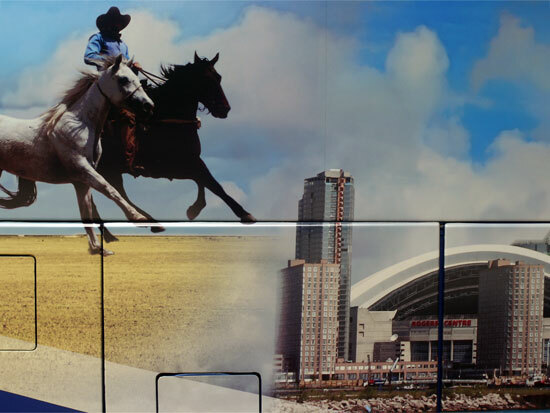 The horse is gonna totally steeplechase over the Rogers Centre! The artist sometimes known as Princess Sparkle Pony. Peter Huestis lives and works in Washington, DC.
. Click below for bigger! What's worse than hate mail from Jeff Gannon? Love mail.